It is almost not fair to look at this painting online and try to guess the painter. If you look closely in person, you can see in the minutia, traces of who this artist would later become. Do you have a guess yet? Vincent van Gogh! Known for his vibrant colors and unruly brushwork, Vincent started his career examining peasant life. 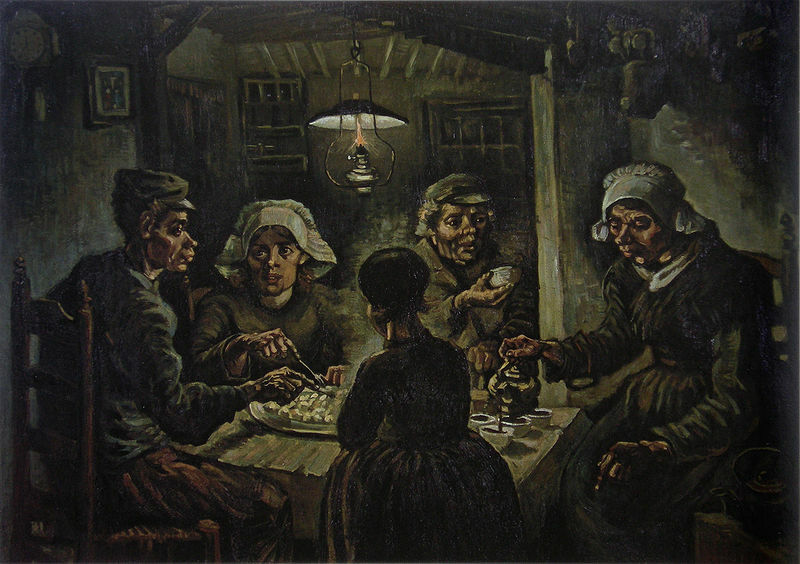 He produced this painting in 1885 as well as his famous “Potato Eaters” which uses a dark palette to highlight the bleak existence of rural farmers. 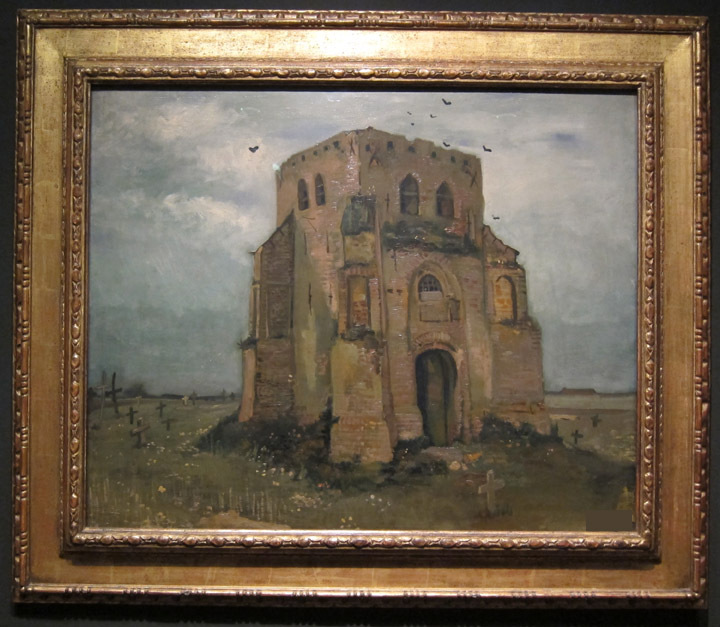 I was really surprised by the realism of “The Old Church Tower at Nuenen.” The play of light off the stone tower and the smokey sky are lovely. 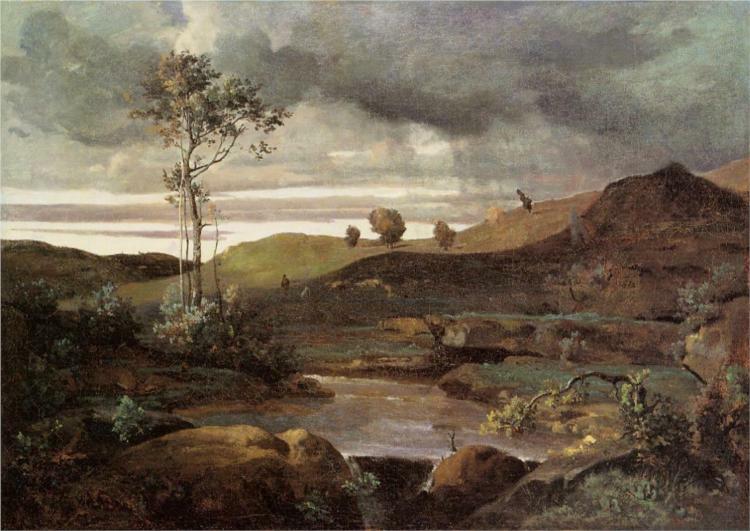 The subject matter, composition, and execution seems to bridge the realism and provincial subject matter of Corot’s work with the darkness and pessimism of Coubet’s peasant world. Vincent van Gogh is not know as a good draftsman. His lines are often crooked, curvy and generally not accurate representation of the subject matter even in his small study drawings. But in this month’s mystery painting he does a very good job of creating a solid and realistic tower. Knowing that the tower should look as real as possible, he must have struggled to create the image. 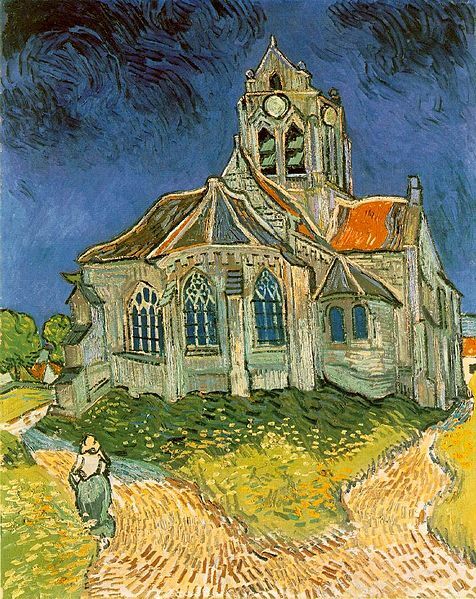 I like looking at this painting and thinking about Vincent’s conscious effort here to copy a style. The work must have been slowly and meticulous executed which seems light years away from his free “painting-a-day” pace at the end of this life. Of course later he abandoned some of this rigid realism and painted churches in his own undulating way. Interestingly, early Vincent was already physically painting his own way. Van Gogh’s works have linear strokes of color and very deliberate hash marks of parallel color. 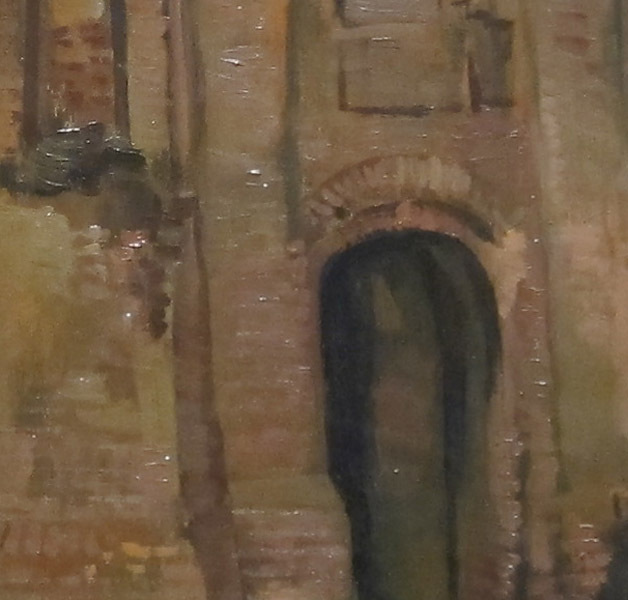 While the church walls above are done in lines of green and yellow, they are done in muted roses and brown in the mystery painting. 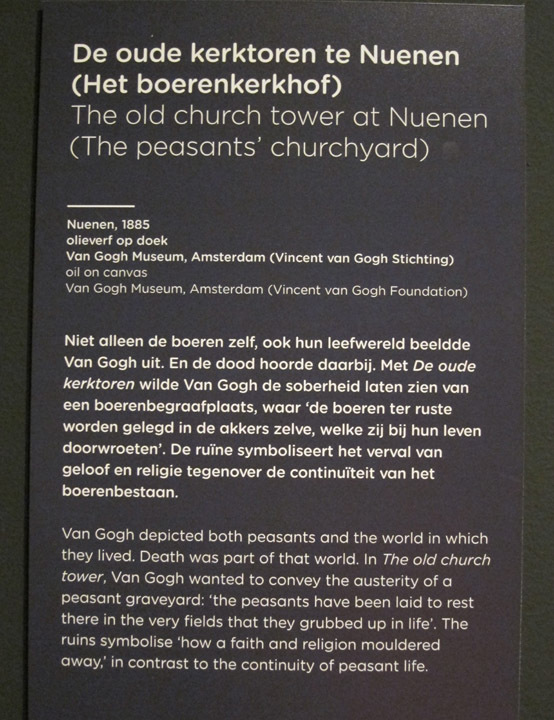 If you look closely, the tower’s facade is a thickness of horizontal and vertical hashes which would have been a good clue toward Vincent Van Gogh. Deliberate vertical and horizontal brushstrokes are a signature of Vincent van Gogh. Nice idea though, and great post. Doing more of these quiz things myself recently… Good good.